A Panel and Launch for Brooklyn Tides: The Fall and Rise of a Global Borough with Savitri D, Dulcie Canton, Brennan Cavanaugh, Robin Laverne Wilson, Mark Noonan, and Benjamin Heim Shepard. Join us for a panel discussion on the activism, aesthetics, and changes taking place in Brooklyn along its waterfront and throughout the borough. The speakers will explore the aspirations and struggles of local residents, the work of artists, and the battles to save community in this globalizing space. Brooklyn has all the features of a “global borough”: It is a base of immigrant labor and ethnically diverse communities, of social and cultural capital, of global transportation, cultural production, and policy innovation. At once a model of sustainable urbanization and over development, the question is now: What will become of Global Brooklyn? 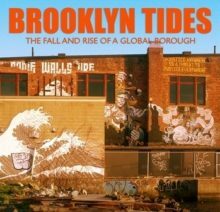 Tracing the emergence of Brooklyn from village outpost to global borough, Brooklyn Tides investigates the nature and consequences of global forces that have crossed the East River and identiﬁes alternative models for urban development in global capitalism. Benjamin Shepard and Mark Noonan provide a unique ethnographic reading of the literature, social activism, and changing tides impacting this ever-transforming space. The book also features images of a rapidly transforming global borough by photographer Caroline Shepard, including its magnificent cover, as well as other artists including Brennan Cavanaugh, Erik R. Mcgregor, Robin Michals and Jose Parla. These photos will be on display at the reading.